Runs Between Primrose St. And Cedar St. 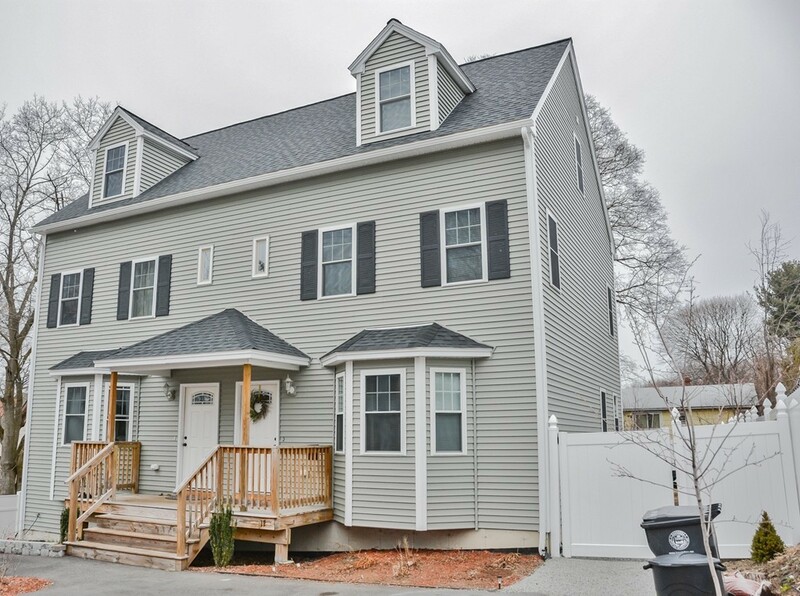 Check out this 3 year old Townhouse offering 3 finished levels of living, freshly painted in today's color palette! Living room features a bay area & hardwood flooring that extends into the dining room & kitchen, providing a cohesive look. Kitchen is enhanced with white cabinetry, granite countertops & S/S appliances. Dining room gives access to a nice-sized deck & private yard area with storage shed. Half bath completes the 1st floor. Master bedroom occupies the 3rd floor and offers a large closet & en suite full bath, while the 2nd floor houses the other 2 bedrooms & the main bath. All 3 bedrooms have w/w carpeting, while all the baths have C/T flooring. Amenities: central A/C; ceiling fans; full basement with laundry hook-ups & W/D that remain. Pet friendly. Move-in ready! This home is located with convenient access to I-495 & Rt 125, in close proximity to downtown, city hall, parks, shopping, and approx. 1 mile to the commuter rail offering daily transit to Boston. NO CONDO FEE!